You can grab the 2014 mix as well as the past 3 years of mixes at the lf fresh selects page. Now that's a TON O TUNES! Hope they keep you rockin' all year long. I wish you an abundantly blessed Christmas celebration today. One that is brightly shining with a joyful hope that comes from embracing the greatest gift this world has ever been given. The good and perfect gift of Christ's unchanging love. This summer I had a very unique opportunity to create a children's book with The Prayer Covenant ministry. 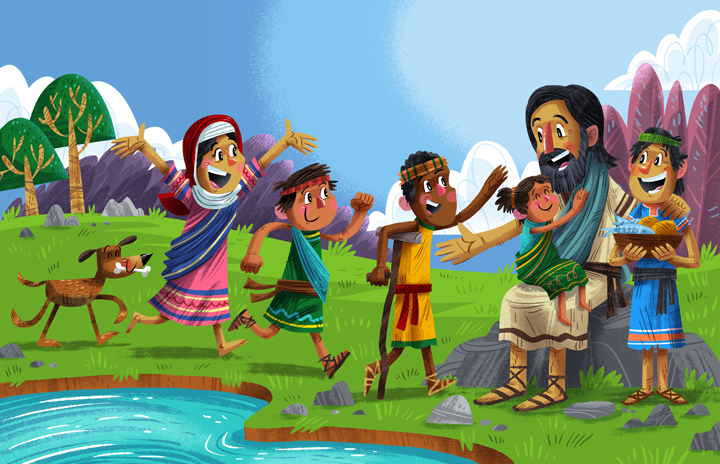 I enjoyed working with them and their inspiring vision to connect kids with unique interpretations of classic Bible stories, and a 40 day prayer challenge. 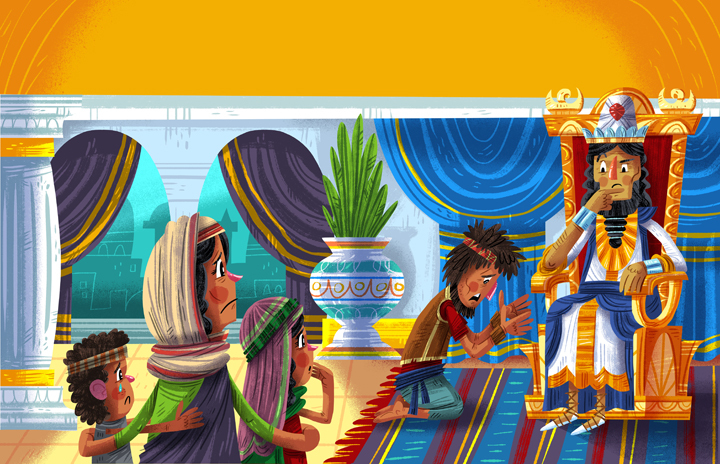 I illustrated 10 stories from the Bible, in full spread scenes which really brought the content to life in a vibrant way for kids to journey through the words of truth, love and comfort. Had a jolly time creating this festive photo booth backdrop and props for my daughters kindergarten class Christmas party. My wife and I hosted the party, and thought it would be fun for the parents to get a festive photo of their kiddos this holiday season. My wife and I getting in the holiday spirit! Our sweet lil gal playing the role of Santy Claus! If anyone's interested in getting the pieces to print for their own holiday party, just let me know, I'd be more than happy to share the love! Festival of Lights 2014 poster & a look back at the past 9 years! Each year I am honored to have the opportunity to illustrate the poster for the Festival of Lights here in Colorado Springs. The festival is an incredibly illuminating community gathering that kicks off the holiday season with a festive parade of lights in downtown. This is not only a special tradition for me as an illustrator, but also for our family. The festival is always a time of gathering with our family and friends, bundling up, and ooooing and awwwing at the creativity and festivity of the floats. Each year I try to capture that special memory through the various themes of the festival. This years poster was inspired by watching my 3 kids bring to life memories through their imagination. The way children love to experience an event over and over through imaginative play and put themselves into those moments is truly a gift that we tend to loose as we grow older. I love how the festival brings back that feeling of being young at heart and entranced by the glow of community cheer and cherished holiday traditions. I thought it would be fun to have a look back at the past 9 years of illustrating these posters. Watching the style/techniques develop is quite entertaining … always good to look back and see growth, eh? I truly hope they bring you a bit of holiday cheer and creative inspiration as you look back on years past and toward a new year.